I don’t know about you, but I’ve been on a real O’CHAWANZ kick as of late. It was to be expected I suppose; Sugarsugar Lala was my Koutei Camera Girl Zwei oshi, so it would have been hard for me to feel let truly down by any future endeavors she got herself into. What I had heard from O’CHAWANZ so far was pretty decent in my opinion, but then the actual masterpiece that was I.YA.DA came along and I was pulled into rice bowl oblivion so forcefully that I could almost feel myself being suffocated by carbohydrates. These girls had got me good. Anyway, their debut album, Episode V, came out this week, and I was thrilled to learn that it had made its way to international iTunes too! (Big thanks to our own Supreme Nothing for the heads up.) Originally, I was just going to buy the album and enjoy it privately as normal, but, well, the disaster that was 3776-chan’s Wild Ride was a surprise hit for the site, so I thought I might as well take advantage of my crippling insomnia once again. Its the Tesco Clubcard song! Like an orchestra of checkout machines. Imagine if instead of Orchestracore WACK’s current obsession was supermarket checkoutcore. I don’t think that would actually work for WACK. But it works really well for O’CHAWANZ! They need to play this song over a Tesco commercial. Would it be an insult to call O’CHAWANZ Tesco Value idols? Not every Tesco Value product is terrible. Actually, if anything, O’CHAWANZ are Tesco Finest. Or George at Asda. 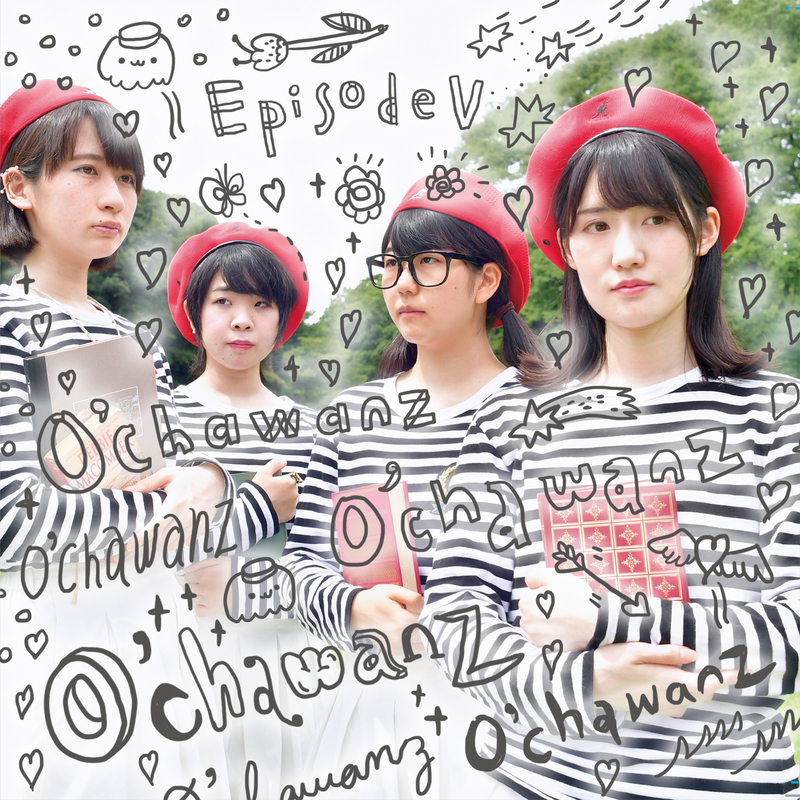 If Maison book girl are Ikeacore, O’CHAWANZ are Tescocore. Do they even have Tesco in Japan? I really, really want to drive a sports car blasting this song in particular out of petty revenge on my loud neighbours who do the same. It’s not even a bad song. Well, they might think its a bad song. But I don’t care. HOW DOES IT FEEL NOW, HUH? YEAH. I HOPE SUGARSUGAR LALA’S SHRILL VOICE DRILLS INTO YOUR NIGHTMARES. Ooh, chill beats to relax/study to by the rice bowls and a bath mat. I like. Expect to find this on a YouTube stream fronted by an anime girl or Maurice Moss sometime in the future. Tescocore is dead. Long live soundcloud fairydustcore. Another genre I just made up. I don’t know, when I read “Heat Tech” I was expecting something a little bit… harder? Energetic? When a song normally has “heat” in the title, isn’t it normally one of those really energetic “gonna make you sweat” type songs? Not saying the song is bad by any means. It’s the type of heat you get on a warm day, but not quite a heatwave, lounging in your backyard or the park until 3776-chan tries to kidnap you in her Mt. Fuji-shaped spaceship again. It’s okay though, because you’ve got your hard-as-rice-bowls rap posse O’CHAWANZ acting as your bodyguards now. Not today, 3776-chan. Not today. Such a sunny album. You and the O’CHAWANZ rice bowl posse are striding through the neighbourhood on a hot day now to buy ice cream. If you really squint, it looks like even the neighbour’s dog is dancing. Today is a good day. You know, it was about time that we got a rock song, on this website for rock idols. This album started off as Tescocore, but now I just really want to go to Blackpool. This is music for driving home from Blackpool the next day, hungover from too many cheap Wetherspoons cocktails. Why did you waste all your Blackpool time at Wetherspoons when there’s a Wetherspoons in literally every English town? How could you be so daft. Lil’ Hakase really wanted to go to Madame Tussauds you prick. Oh my god. They did it. My quest for vaporwave idols has finally been found. I think I’ve found god. Thank you Sugarsugar Lala. Thank you Ichico Niko. Thank you Josh Annu. Thank you Lil’ Hakase. My quest is complete, if only for a single song. I’ve tried to listen to this song three times now. Each time, I got interrupted by my aforementioned loud annoying neighbours. I think this song is cursed. Can someone else listen to this and see if they also have any weird dudes shouting about their lower organs suddenly show up? I mean, other than that, it’s a very nice song. The sort of thing I could fall asleep to if it wasn’t for… you know. The piano is a nice touch. Almost angelic if not for, you know. When I first read the title I thought it said “feat. Matt Berry” and was like “AW SWEET, THEY GOT DOUGLAS REYNHOLM FOR THIS ALBUM? O’CHAWANZ have been canoodling with some big names! I hope they do that one song from Darkplace!” but alas, it wasn’t so. I’m cool with having a jazz/rap/idol fusion thing though. If this entire album took place on a sunny day, this is the song when evening hits, when the weather gets slightly cooler, but nobody is really ready to stop and go to bed yet. An evening at a Wetherspoons in Blackpool, if you will? The evening turns into night. This album really is an entire summer daytime condensed into musical form. An appropriate closing song, getting me ready to turn off my laptop and finally go to bed like I’ve been wanting to for the past hour or so. Pleasant dreams. I’m not counting this one as a song. It’s clearly labeled a skit. This is really just Lala rambling about something for three minutes. Maybe this is the audio of her telling you to stop drinking so damn much in “MeNotHoldOnSheLies Pt. 2” for all I know. I don’t know, I don’t know Japanese. This album slaps. O’CHAWANZ slaps. That one vaporwave-esque song slaps. “I.YA.DA” slaps. Every song slaps. I want to slap my neighbours. I’m going to bed now. Listen to this album before I slap you.